Minneapolis: A Muslim teen boxer from Minnesota who hopes to one day compete in the Olympics has won a fight to wear a hijab during matches in the U.S.
Amaiya Zafar will also be allowed to cover her arms and legs in accordance with her religious beliefs while competing in her first sanctioned match this month in Minneapolis under a USA Boxing exemption, The Star Tribune reported. The organisation normally requires boxers to wear a sleeveless jersey and shorts. The 16-year-old from the Minneapolis suburb of Oakdale was turned away from a fight in Florida in the fall when boxing officials told her she could not wear leggings, long sleeves or her hijab, which is the headscarf worn by some Muslim women. Zafar has been ready to jump into competition for some time. Zafar said her goal is to compete in the 2020 Olympics in Tokyo. She still would have to persuade the international boxing organisation, the AIBA, to allow her to box in her modest attire. 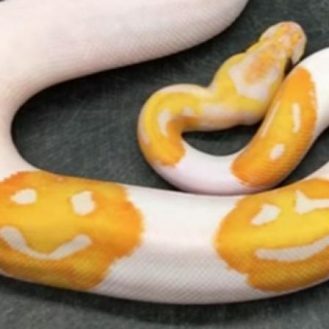 This particular snake is a Lavender Albino Piebald Ball Python and is the only snake in the world that has three smiley faces on it….